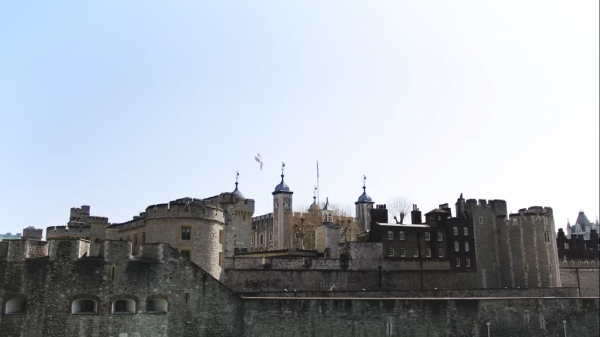 The popular British attraction, the Tower of London, had visitors in awe last week as the British Army’s Coldstream Guards joined the Game of Thrones’ Night’s Watch put on a performance dedicated to the television show’s new and final season. 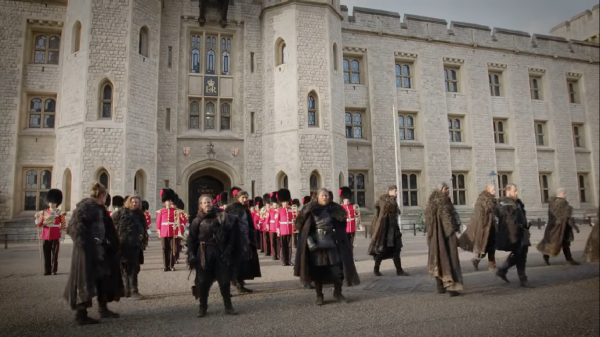 The Night’s Watch proudly marched out of the Waterloo Barracks at the Bloody Tower while the Band of the Coldstream Guards put on a show-stopping sword presentation composed by British television network Sky Atlantic. The British Coldstream Guards are the “oldest continuously serving regiment in the British Army,” having served in the British Army for more than 350 years, according to the Nerdist. They instead received the pleasure of being met by 12 actors depicting the show’s members of the Night’s Watch, according to PR Week. The efforts put behind the planning for the event, the backdrop, music, and costumes brought the Game of Thrones to life, especially as the Coldstream Guards concluded their presentation and marched back into the tower of darkness. The London Post said the highly anticipated Game of Thrones finale is huge and the show has had more viewers than any other shows sponsored by British television network Sky Atlantic. Last season’s finale had 3.42 million viewers in the U.K. alone, and more than 12 million in the U.S. The final season premiere will air at 9 p.m. EST on HBO in the U.S. and 2 a.m. in the UK on Sky Atlantic.